For some, art and nature go hand in hand. 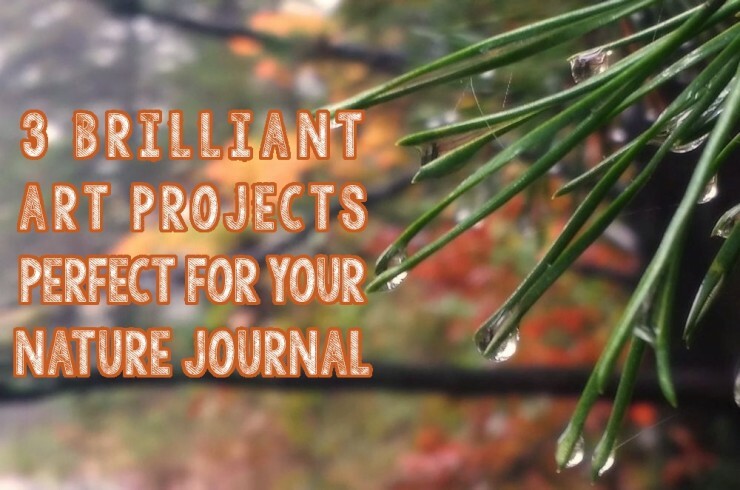 Add these projects to your nature journal for fun artistic expression. The concept is simple. Represent the different seasons using the depiction of a tree. Use a real tree as a model, or simply draw from imagination. Using a full page, draw a tree from the bottom of the trunk to the tips of branches. Divide the page into four parts, one section for each season. Add season appropriate decoration to each section of the page. For example, snow on the branches in winter and colorful leaves for fall. Look at some of these examples created by various ages. Investigate a single natural object from a series of sides, angles, and distances. Choose an object in nature such as an interesting rock, pinecone, seashell, or other item. Divide a single page into a grid with 6 to 12 sections. In each section, sketch the chosen item from a different perspective or angle. Adding color is up to you! Check out these examples from Linda Burke’s class. Choose an item from nature such as a rock, shell, leaf, pinecone, flower, or other object. Draw one sketch of the item while indoors, and draw a second time while outdoors. Is there a difference in detail? Which location made concentration easier? This is a fun and simple project to explore how being in different environments can change our level of awareness and concentration, discovering which environment is best for you.